What do breast cancer and eye examinations have to do with each other, anyway? It may surprise you, but did you know an eye examination can detect signs of cancer? Patients may not even have symptoms. Cancer metastasis that appear in and around the eye are usually from a breast cancer (in women) and lung cancer (in men). The most common intraocular tumor is often the result of metastasis from primary cancer of the breast or lung. Studies show that 47 percent of intraocular metastatic tumors arise from breast cancer, while 20 percent of ocular metastasis can be secondary to lung cancer. Yet the symptoms are not always obvious. About two-thirds of these patients will complain of blurry vision, while the rest may have no symptoms. It is more common to have a metastatic tumor on the inside of the eye rather than the outside. Therefor it is very important that the inside of your eyes is carefully examined during your eye examination. 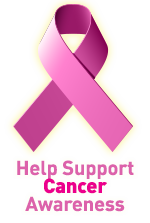 Breast cancer is the most common cancer among American women after skin cancer. Today, about 1 in 8 women (12%) will develop breast cancer in her lifetime. Breast cancer is the second-leading cause of cancer death in women. Only 5% to 10% of breast cancers occur in women with a clearly defined genetic predisposition for the disease. The majority of breast cancer cases are “sporadic,” meaning there is no direct family history of the disease. For example, a family history of breast cancer is considered a principal risk factor. Yet 80%-90% of women who get the disease have no known family history. The best defense against breast cancer is finding it early. If you are 40 or older, get a mammogram and a breast exam by a doctor or nurse every year, and always report any breast changes to your doctor without delay. During the month of October Atkinson Eye Care will donate $10 of your eyeglasses purchase to the Family Health Partnership of McHenry County Breast Cancer Fund.